The editors do not brush over the fact that many educators are not familiar with the sites and tools that capture the imagination of students. They understand educators are sometimes clueless as to what the latest “new” fascination students embrace at home and with friends. 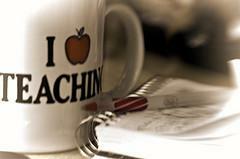 Teachers are also not trained in how to integrate the new technologies. To alleviate the problem the editors include an essay wherein an educator actively learns to create in Second Life and then discusses the implications for classroom use of animation. 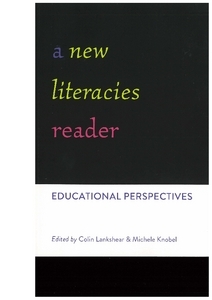 Lankshear and Knobel, also, feature two educators who mingle traditional curriculum with new media and recruit others to the cause, a enlightenment for those who shy away from the “new.” Using new media finds devotees in many content areas but is not pervasively used as assessment in all areas. Therefore, the editors further highlight the trend that new media tends not to permeate all content areas; they include an article on middle school social studies assessments with a how to narrative. Not wanting to neglect teachers in training, they publish a piece about pre-service teachers working on blogging.